This is the kebab i tried on the tawa!!!!! 1.Grind One small onion,green chilli,garlic pods and ginger. 2.Grind to a coarse paste. 3.Heat Oil in a pan and fry the ground paste. 4.Addthe finely chopped vegetables(carrot,peas,corn)you can add beans and cabbage too.Add turmeric powder,salt and fry further. 5.Add the boiled and mashed potato,garam masala mix well and then add the cashewnut powder and roasted gram powder(pottukkadalai powder). 6.Add chopped coriander leaves and allow it to cool. 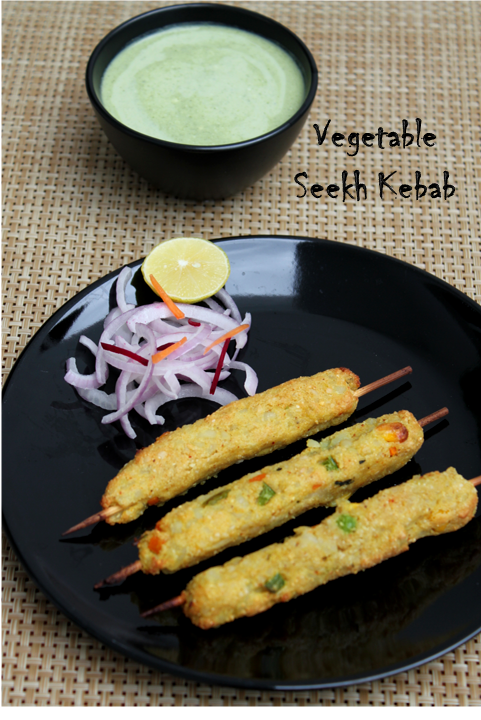 7.If you are making the kebabs in the oven or tandoor soak the skewer sticks in water for an hour.Take a skewer stick and take a portion of the vegetable and stick to the skewer lenghthwise as shown in the picture. 8.Arrange in a baking tray or grill.apply oil on top with a brush and bake for 6-8 minutes at 220 degrees in a preheated oven or you can grill or toast it on a tawa. 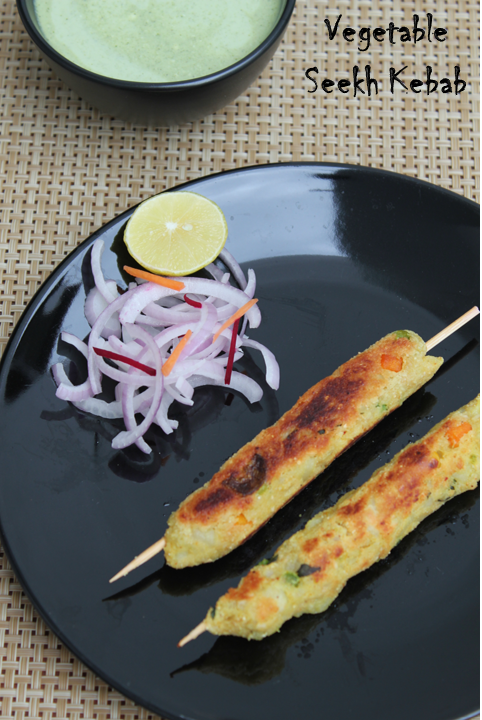 Serve with mint chutney with curds and sliced onions and sprinkle some chat masala on top of the kebabs. Adjust the spice level according to your taste and the quantity you are making. 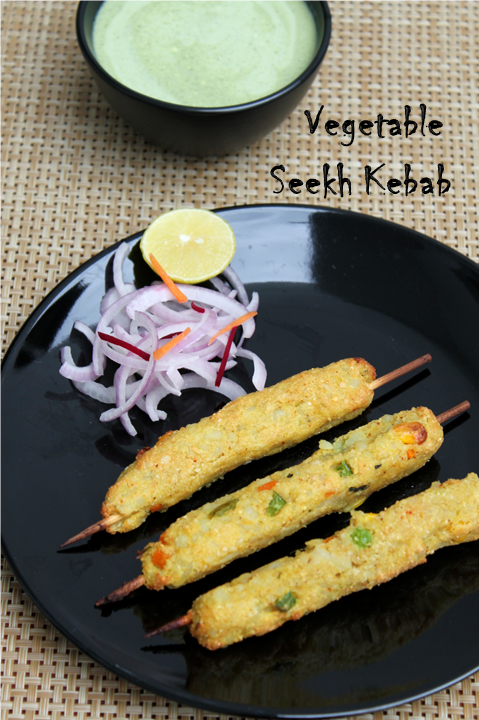 Soak the skewers in water before putting it in the tandoor or oven. Kebab sounds delicious! I am your latest follower if you find time visit my blog. Hello how much grama powder shud be added?